Engaging kids in projects to learn is a part of many school curriculums. But, like most everything, learning through projects continues to evolve; and, the evolution of late has been groundbreaking! It’s referred to as the Design Thinking Process. How is it different from what has been done in the past? All three(done as intended) aim to engage students in learning to give them ownership and to create with purpose. Years ago, the push was for Theme-Based Projects to help learners make connections to ideas. Then came Project-Based Learning, which made learning through projects more robust. But over the past few years, the Design Thinking Process has taken hold and continues to evolve. What makes it groundbreaking is that it helps students learn to innovate and create to solve problems (and, ultimately, to do so self-directed). This is a critically important knowledge and skill set as we enter what many are calling the Creative Age. Theme-Based Projects aim to engage students in creating something that is typically connected to a theme or idea. The learning experience is teacher driven. Often students create the same work, or a similar work. Too often, Theme-Base Projects have lacked explicit and intentional academic outcomes. Project-Based Learning aims to engage students in a problem-solving experience defined by an essential question, which drives learning down a pre-defined path determined by the teacher (narrow subject area, narrow essential question). In many Project-Based Learning activities, the groupings of students and their activities are defined (the film crew, the researchers, the presentation makers, the event organizers, etc.) Typically, specific content knowledge, concepts, skills, and problem solving abilities are explicit and intentional outcomes of the learning activity. This approach has proven much more robust than Theme-Based Project learning. The Design Thinking Process, or Design Making, aims to have students invent by creating innovative solutions to problems (at times, problems not yet realized to exist). Students are guided to explore dozens of potential lines of inquiry suggested by the teacher; and eventually, with a gradual release of responsibility, students are guided to identify their own lines of inquiry.Students explore the needs of end-users with perspective and empathy. Students drive the process. The teacher’s role is to facilitate, model, guide, and coach. 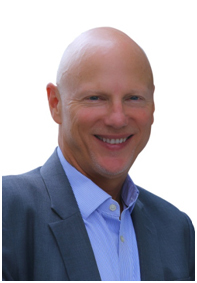 The Designed Thinking Process is marked by empathy, compassion, innovation, and change. 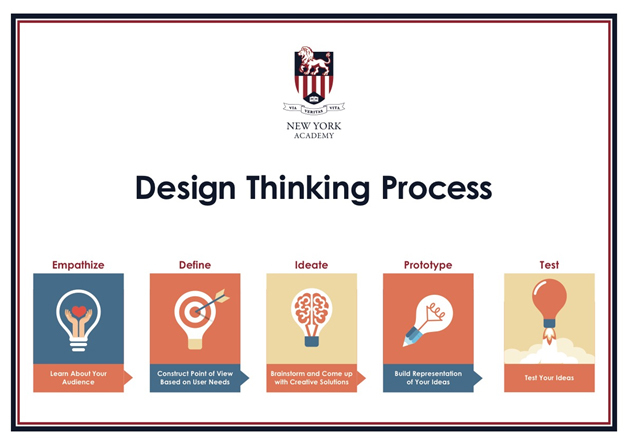 New York Academy is making the Design Thinking Process a dynamic part of our curriculum.